Right before heading on my trip to Italy this summer, I received the most dreamy press package which included some old favourites, and new sunscreens to try from this iconic French brand. Let's be completely transparent: I've never appreciated a product more than when I took out my refrigerated bottle of Eau Thermale to cool me down when touring around 40℃ Milan in August. This gentle face mist probably saved my life - it was seriously hot. 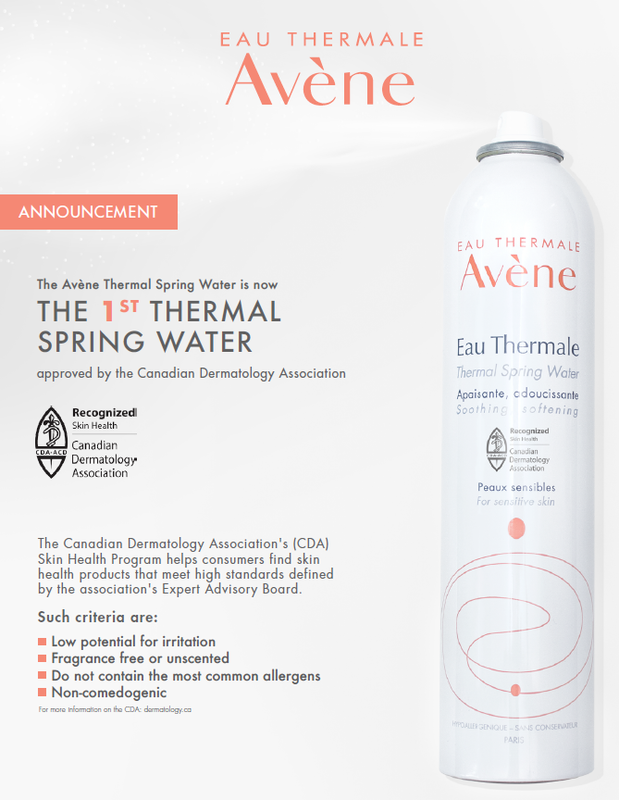 Another exciting point is that Avène Thermal Spring Water is now the FIRST and ONLY thermal spring water approved by the Canadian Dermatology Association! It's hard to understand its calming and refreshing properties until you try it first hand. Eau Thermale Avène products are sold exclusively in drugstores across Canada. 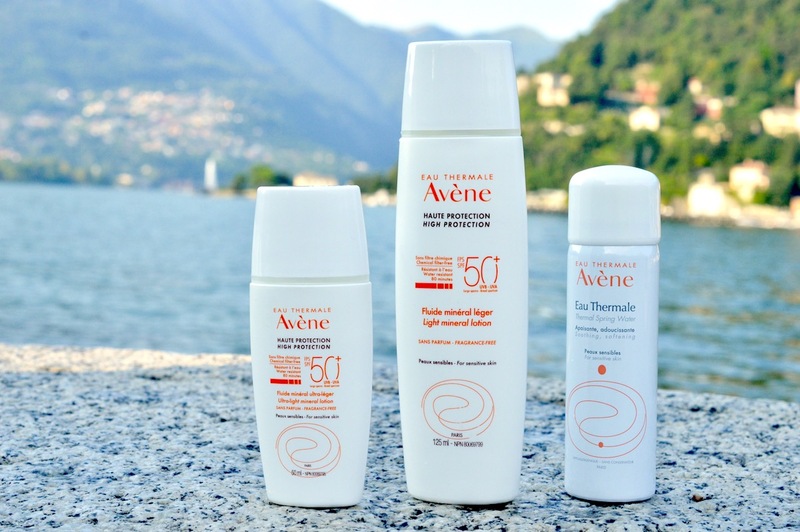 Avène's 100% mineral sunscreen is water-resistant and provides sheer, lightweight protection from the sun. Formulated with Titanium Dioxide (4%) and Zinc Oxide (6%) this chemical-filter free sunscreen even has Vitamin E to provide a powerful antioxidant protection from the elements. As always, the incorporation of Avène Thermal Spring Water soothes and softens the skin. Fragrance free, paraben free, oil free, non comedogenic. It's official: I did not get sunburned at all on this vacation. Not once! I can accredit it completely towards this sunscreen. After using both the face and body versions religiously, I didn't notice a difference between the two. The small face bottle is perfect if you only travel with a carry on, and the larger face & body is great for a family. My sensitive skin loves it. For non-vacation daily wear, I stick to my It Cosmetics CC+ Cream with SPF 50 for the face. The sleek and slender bottles with super thin nozzles made carrying and applying this liquidy lotion very easy. Since the formulas include only physical sun filters, this product may leave a white cast. The residue often collected on my skin if I applied liberally, but not noticeably. I'd highly recommend trying this range if you want reliable mineral-based suncare for kids and adults. Finally, my beloved Soothing Moisture Mask. I keep a big bottle of this mask on my bathroom counter and use it at least once per week as a one-and-done before bed treatment. It has a thick, refreshing texture that goes on smooth, and doesn't leave a sticky residue. It works best if you spritz your face with the Thermal Water before and after applying the mask to seal it in. I love using this product if I have dry spots, angry breakouts or a recovering sunburn. It's guaranteed that my skin will be free of redness, clogged pores and dry flakes the next morning. Just make sure to cleanse very gently and thoroughly before applying this product so that no bacteria gets trapped in your pores. 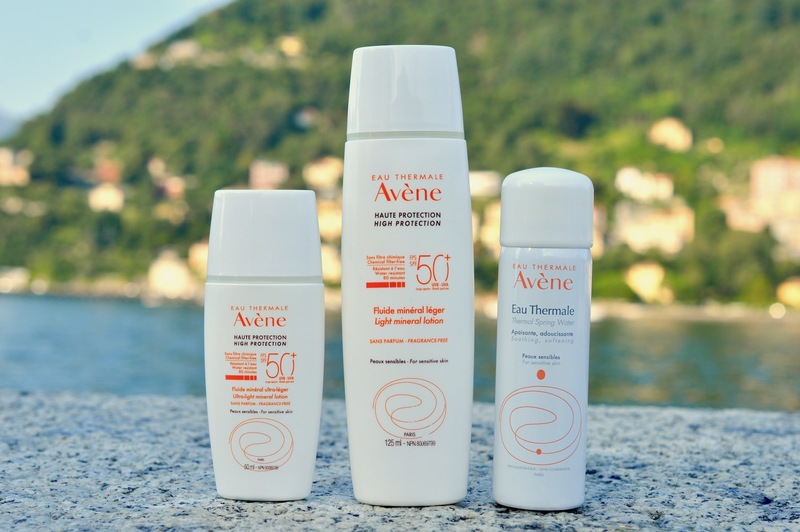 Do you have a favourite product from Avène?